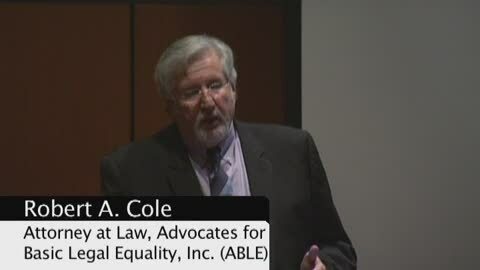 The lead conference was presented by: Advocates for Basic Legal Equality, Inc. (ABLE) and Toledoans United for Social Action (TUSA). Robert A. Cole spoke on Toledo’s proposed lead poisoning prevention ordinance. The presentation was held at the Toledo Lucas County Public Library.